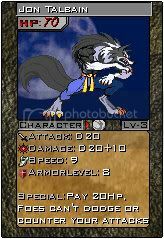 Im in need of a few talented pixel artists to create unique characters, equipment, items, and magic graphics for this card game. Let me know if you would like to donate your art, and help out my cause. I believe this actually belongs in the job section? I believe it does as well. Howz about I move it for ya? Let me know if you would like to donate your art, and help out my cause. So your not looking for someone to join your team, but just donors? Just a thought but you should probably look for someone to join the team, since as far as I know, most pixel artists don't just do random pieces of work without being paid for them. They will probably be more willing to part with their artwork if they know that they are a part of the team and that they will be fully credited for it. Well, yeah. I meant JOIN the team, but also the option is open to donate if someone is already doing a major project and has pieces that they wouldn't mind parting with. I REALLY need team members, and I REALLY want to get started on this project. Anyone willing to dedicate themselves is more than welcome to join the team. I'll handle the card creation and various other jobs like it. Project: S.C.A.R.A.B.- Strategic Card Action Roleplay Adventure Battle. Let me know what you think. lol.